The Company "Amber Hemis was founded as jewelry and art gallery in 1991 by Horst W. Henn and John Miskiewicz. The name "Amber Hemis" stands for a large collection of fine and exclusive jewelry and art products. These are developed in our own workshop in Gdansk (Danzig) produced by highly skilled designers, artists and craftsmen. Valuable and precise hand-stands in the foreground. Most of the jewelry made of amber are unique. There are three different product lines that offer something for every taste right. In addition to precious metals, gold, silver and other materials such as designer glass, leather, wood processing, we mainly amber - the gold of the Baltic Sea, which is available in more than four hundred different colors. We realize more new ideas, this unique and oldest gemstone in the world with its more than 40 million years old history, helping to special luster and prestige. Zeitgeist in our jewelry and art to implement products. The price / performance, highly appreciated by customers. So is the ultimate premise of "amber-Hemis" Customer orientation! - Direct sales in Nuremberg, Tucherst. 28 and many health resorts in Germany. - Wholesale sales for jewelers and art galleries. 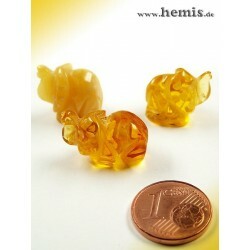 "Bernstein-Hemis" has grown in just a few years of its existence to one of the largest amber specialists in Southern Germany.